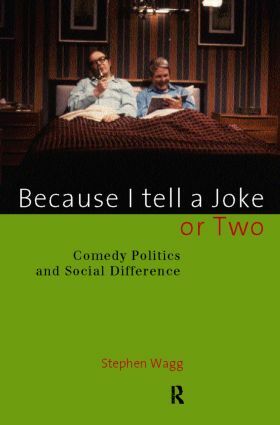 Because I Tell a Joke or Two explores the complex relationship between comedy and the social differences of class, region, age, gender, sexuality, ethnicity and nationhood. It shows how comedy has been used to sustain, challenge and to change power relationships in society. The contributors, who include Stephen Wagg, Mark Simpson, Stephen Small, Paul Wells and Frances Williams, offer readings of comedy genres, texts and performers in Britain, the United States and Australia. The collection also includes an interview with the comedian Jo Brand. * The Golden Girls, Cheers, Friends and American society.